The zip on my rucksack is stuck; I can't get my homework out. That boy is full of zip today! You know zip about me, so shut up. Zip up your coat! It's cold outside! Mosquitoes zipped through the air. The truck zipped ahead on the highway. A little vinegar will zip up the flavors. The word zipper was originally the name of a brand of rubber boots with a fastener, released in 1923 by a North American company. The name was so catchy that people started using it for the name of the fastener itself. 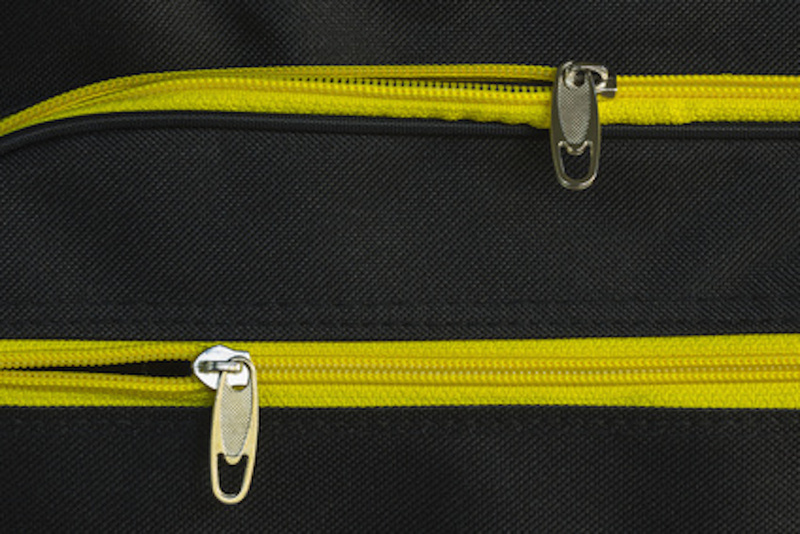 Zipper is more commonly used for the fastener in US English. In the UK, people mainly say zip. Zip, meaning ‘to move quickly, ‘dates back to the mid-19th century. Its origin is probably imitative of the sound that this kind of movement could make. The sense ‘close with a zipper’ dates back to the 1930s, and is a back-formation from the noun zipper (which itself came from the verb zip). The noun zip, meaning ‘the sound of something moving quickly,’ dates back to the mid-19th century as well, and is also imitative (linguists are pretty sure that the noun and the verb emerged separately, but as part of the same process). ZIP, as the adjective found in ZIP code (the numbers used to identify a certain area for mail delivery) is actually an acronym for ‘Zone Improvement Plan,’ but the full name was probably chosen because the acronym would remind people of the verb zip.